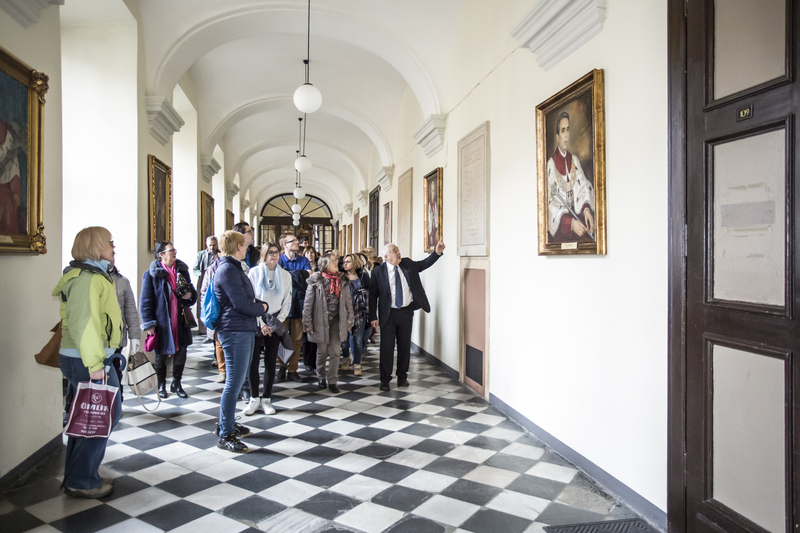 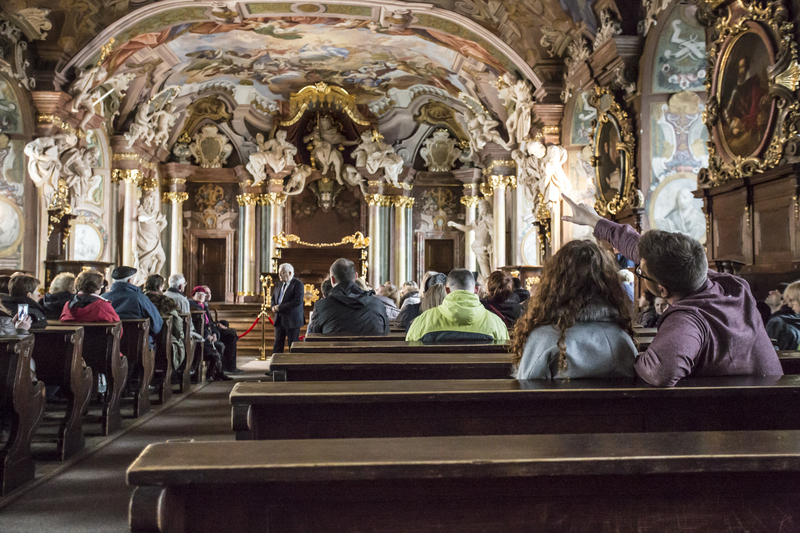 Last Saturday, Rector Adam Jezierski guided over one hundred visitors through the opulent interior of University’s Main Building. 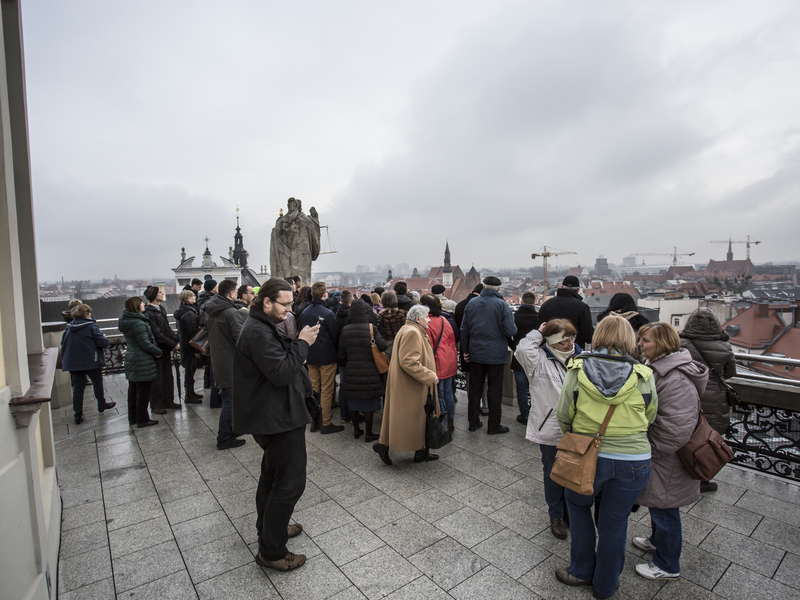 The tour started by the fencer’s statue. 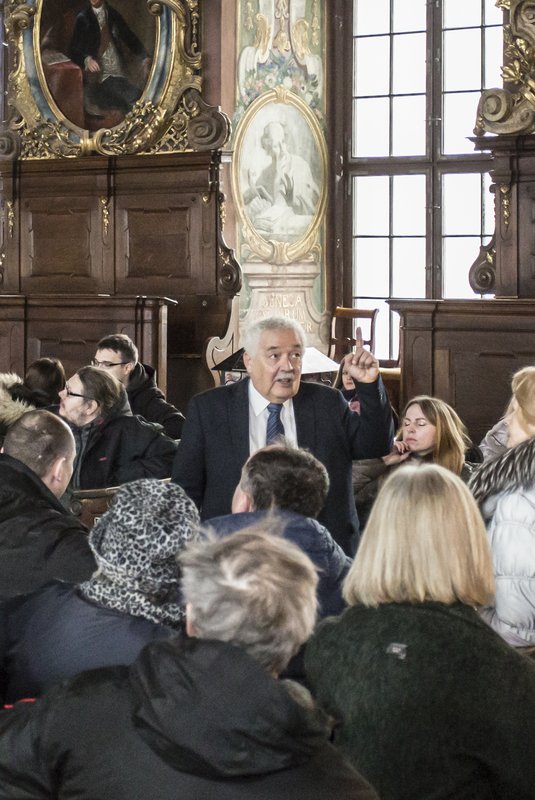 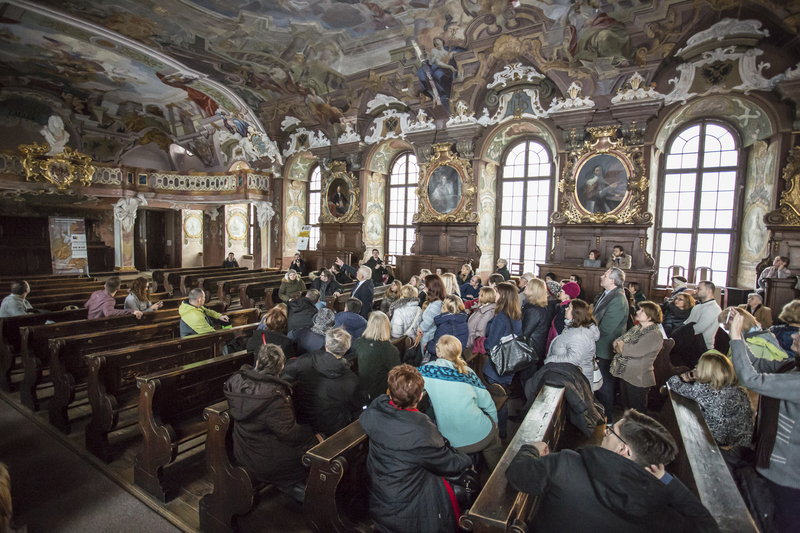 The Rector accompanied the visitors to Aula Leopoldina, Mathematical Tower and University Museum and discussed the importance of the University, its history and the architectural features of the Main Building. 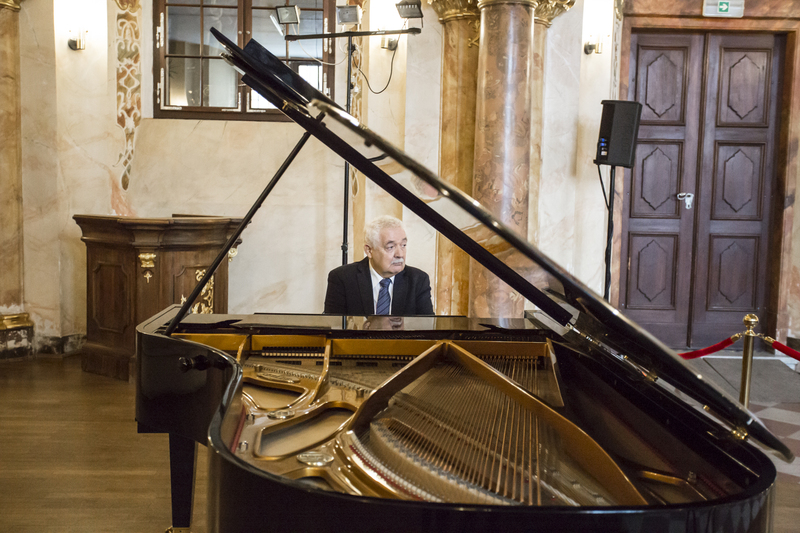 The guests then proceeded to Oratorium Marianum where the Rector gave a memorable piano and organ concert and the visitors sang carols to the music he played. 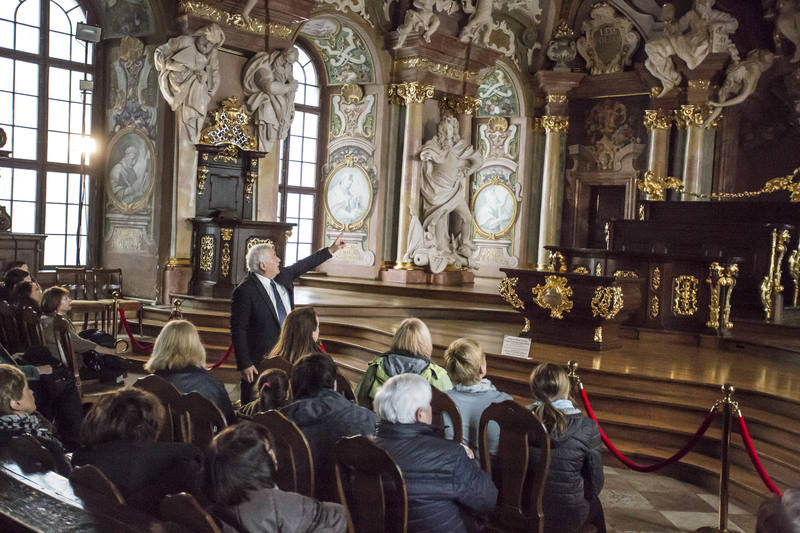 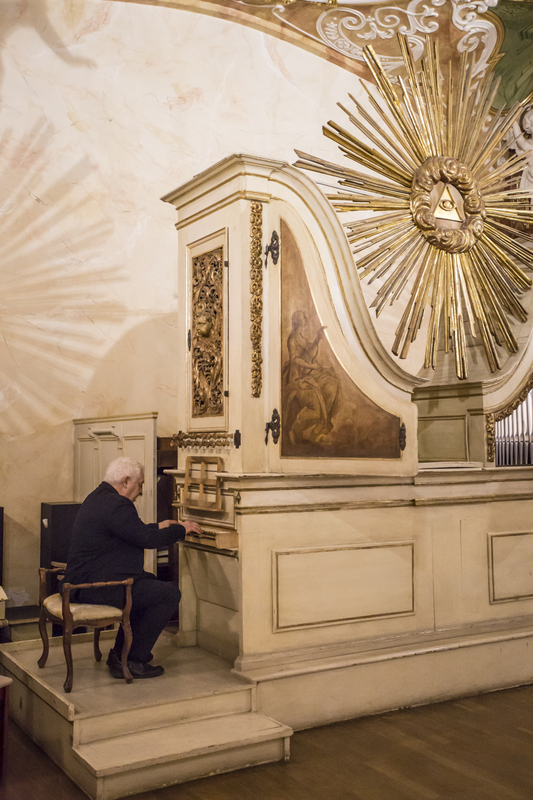 The tour’s final destinations were Rector’s Office and the Senate Hall; the visitors were given a unique opportunity to see the rooms that normally are not accessible to the tourists. 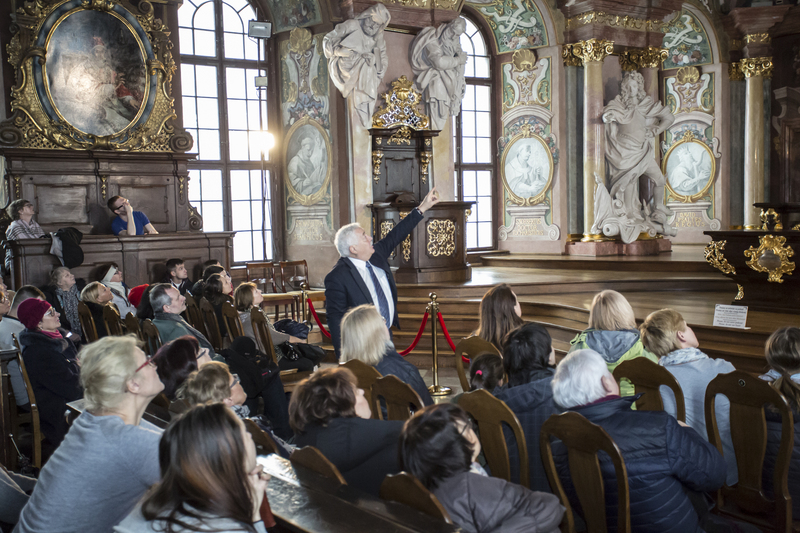 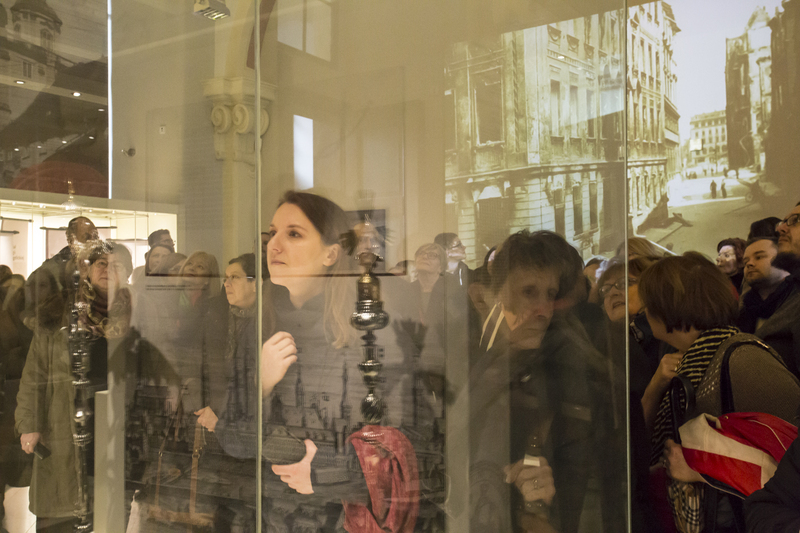 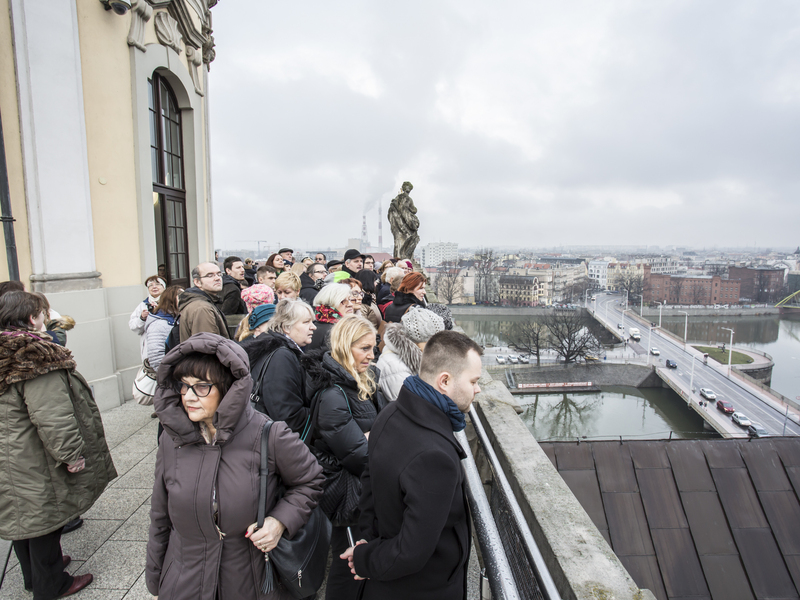 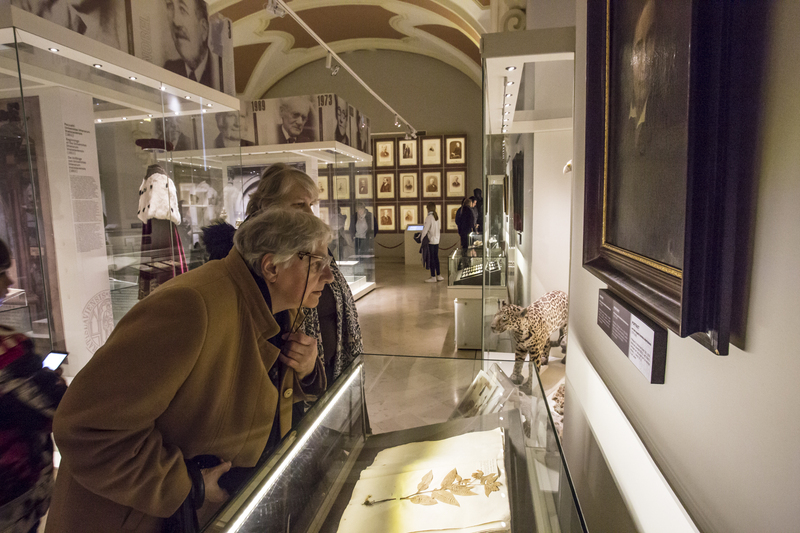 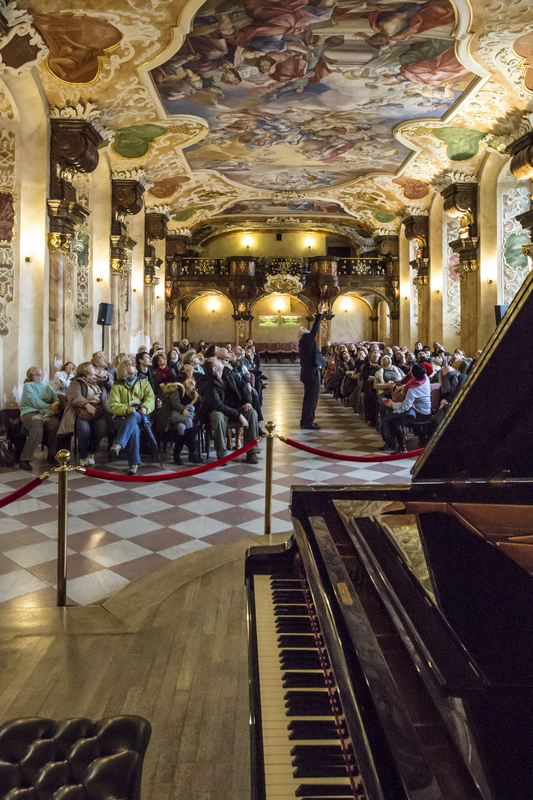 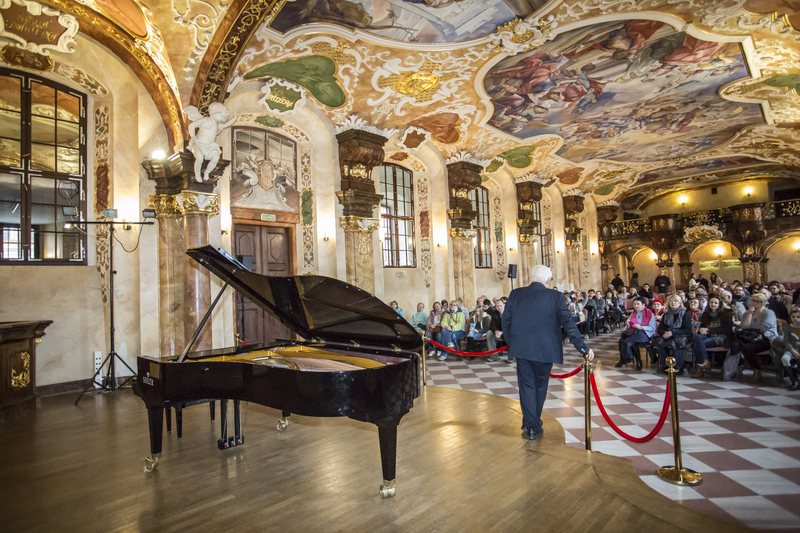 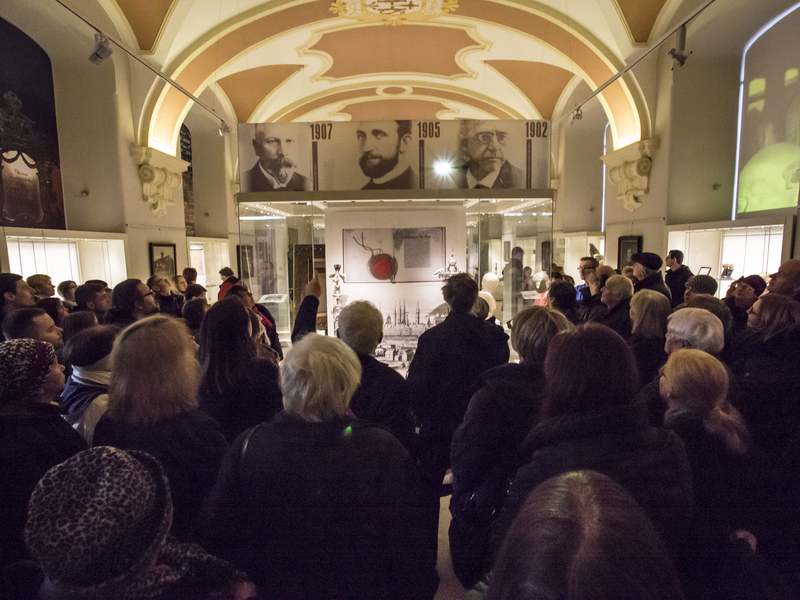 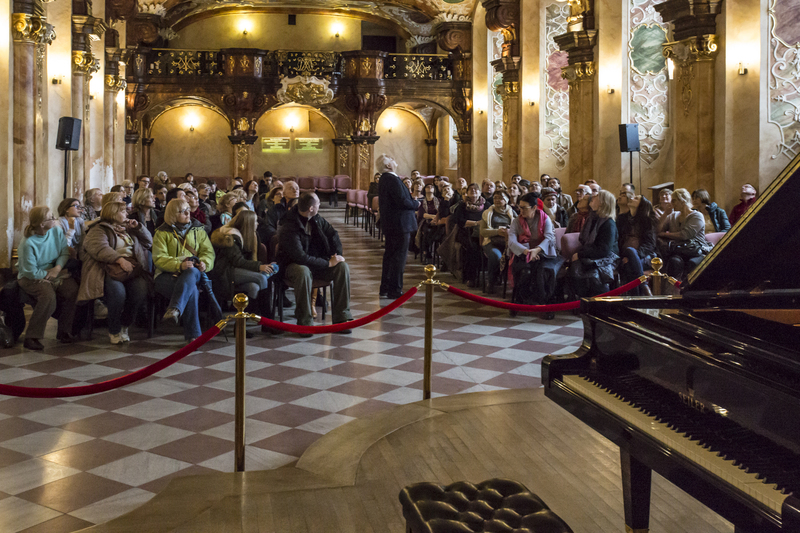 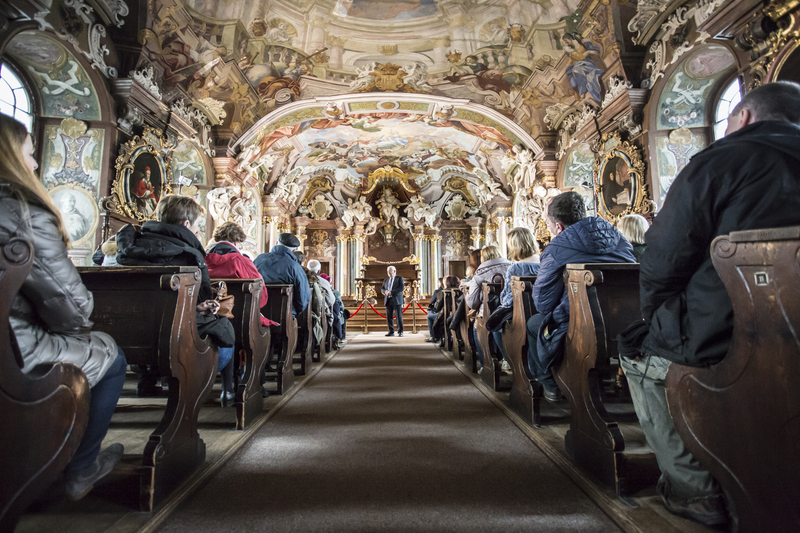 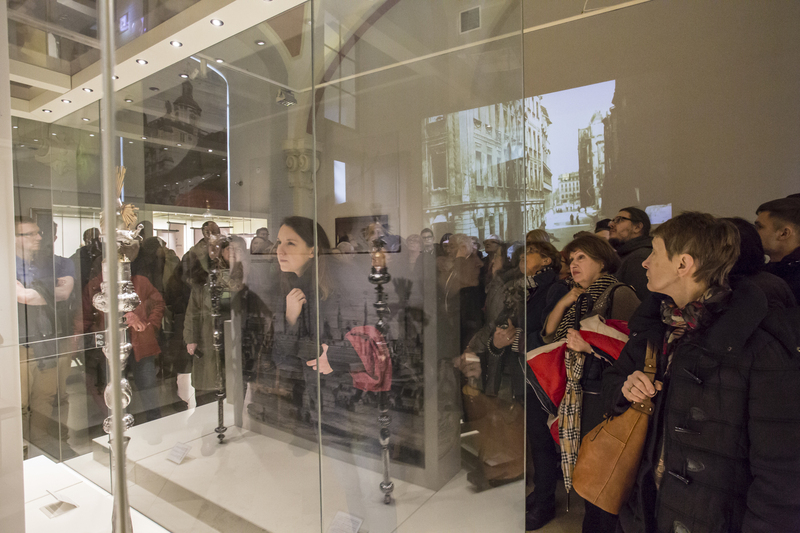 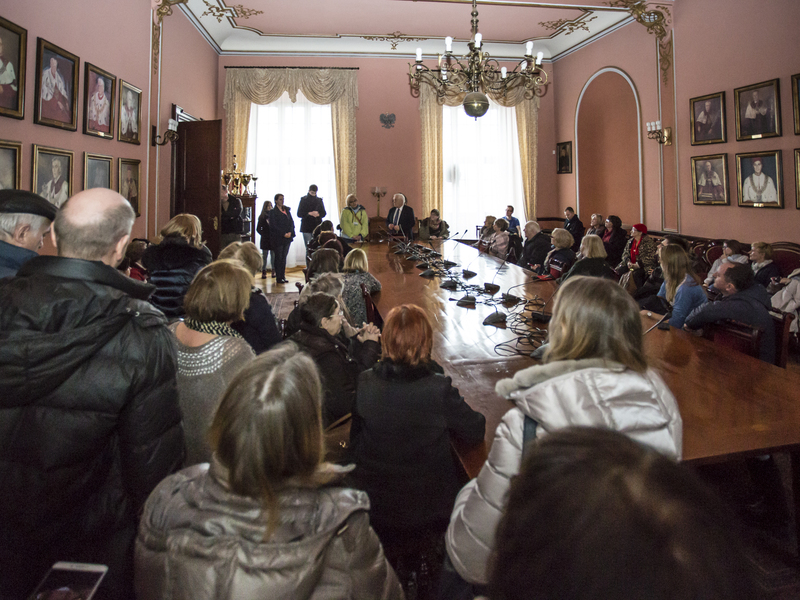 The visit constituted the first of the event series organized within “the Academic Wrocław” project. 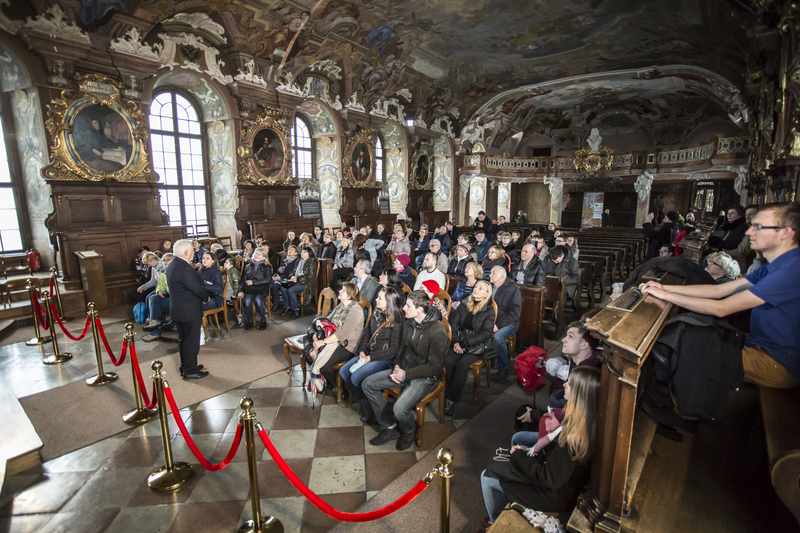 The event was organized by Wrocław Academic Hub in cooperation with Wrocław’s universities to celebrate the 10th anniversary of the organisation.